Woodrow Wilson was a President so full of promise to many in America, that it seemed shocking how dismally his eight years in office ended. The United States went from being a Great Power to being the Greatest Power while he was in office. But, despite all the lofty ambitions Wilson brought with him, his time as President was also marked by violent upheavals in all parts of society. The United States was a drastically different place from the time Wilson was inaugurated in 1913 than it was when he left in 1921. The 28th President was born Thomas Woodrow Wilson on December 28, 1858 in Staunton, Virginia. His father was a Presbyterian minister who moved his family throughout various cities in the South. Young Thomas struggled with dyslexia through much of his childhood. Wilson originally attended college at Davidson, but didn’t like it there and dropped out. His father then pulled some strings and got his son admitted to the College of New Jersey (which would eventually become Princeton University). Wilson concentrated on the study of politics and wrote a senior thesis arguing that the President’s Cabinet should be responsible to Congress, as is the case in Britain. Upon graduation from Princeton, Wilson enrolled in the University of Virginia to study law. Wilson didn’t like the study of law much and dropped out before finishing his studies; although, he would open a law practice for a brief period. Ultimately, Wilson opted to go back to school, enrolling in Johns Hopkins University’s relatively new doctorate program. He earned a Ph.D. in 1886. While in the process of earning that degree (the only President to hold such a degree), Wilson taught at Bryn Mawr College. He also authored Congressional Government, which would become an influential book in political science in its time. Wilson managed to write his book on Congress without ever once visiting Washington and observing Congress in action. But, he became an expert nonetheless. Wilson, who dropped the name Thomas and just went by Woodrow sometime in the 1880s, moved on to Princeton to teach. He was one of the most popular lecturers on campus. His class on American government was THE class to take for upperclassmen. Wilson’s popularity among both students and faculty eventually got him promoted all the way to university president in 1902. Wilson, although a poor fundraiser, still managed to raise the profile of Princeton nationally. He became one of the most respected men in America. And, the Democratic party saw him as a Presidential material. He was sympathetic to the Progressive movement; but, he also would appeal to the Democrat’s base in the South because of his upbringing. There was one problem, though. Wilson had never held elective office. To remedy that situation, Wilson stepped down from his Princeton job to run for governor of New Jersey in 1910. He won that election easily, and almost immediately began campaigning for President in 1912. The Republican party split in 1912 between the conservatives, led by President William Howard Taft, and the Progressives, led by former President Theodore Roosevelt. Taft won the Republican nomination. So, Roosevelt ran as a third party candidate. The beneficiary of all this was Wilson, who won the election fairly easily. Although Wilson won just 41.8% of the popular vote, he ended up with 435 electoral votes, the highest total recorded up to that time. Calling his domestic policies “The New Freedom,” Wilson shook up the establishment in Washington. He ended the tradition of Presidents not addressing Congress in person. Since Thomas Jefferson took office in 1801, Presidents had communicated with Congress by sending a written message. But, Wilson presented himself to a joint session of Congress in April of 1913 to tell that body that he was ready to work with them to get things done. And, he felt it would be easier if they could talk to him face to face. Wilson wanted to lower tariffs, feeling that high ones served only to protect corporate interests. To make up for the lost revenue from the tariffs, Wilson instituted an income tax (made possible by the 16th Amendment, which the Republicans had pushed through prior to Wilson taking office). Additionally, Wilson started two government agencies that would have long lasting effect on the country. To help administer antitrust law, Wilson signed a bill establishing the Federal Trade Commission. And, to help bring more regulation and order to the banking industry, Wilson created the Federal Reserve System. Wilson knew little about banking, but received a crash course from adviser Louis Brandeis. The Federal Reserve System established a series of regional banks, guided by a Board of Governors in Washington, that controlled the money supply, and oversaw banking regulations. As a child of the Confederacy, Wilson didn’t forget his roots. Unfortunately, this meant that Wilson allowed Federal departments, most notably the Post Office, to segregate its workers. Wilson would oppose any type of civil rights legislation while President. Wilson also faced an increasingly hostile women’s suffrage movement. Although Wilson never backed women’s suffrage, the 19th Amendment would eventually be ratified in 1920 toward the end of Wilson’s time in office, granting women the vote in all of the states. Also, the Prohibition movement succeeded in getting the 18th Amendment ratified in 1920. Wilson was not a supporter of Prohibition. He vetoed the Volstead Act, which set up enforcement of Prohibition. This veto was subsequently overriden by Congress. Wilson’s first wife, Ellen, passed away from kidney disease on August 6, 1914. The President’s grief was almost inconsolable. Wilson’s staff kept close tabs on him to make sure he didn’t try to hurt himself. However, Wilson would meet someone new just six months after Ellen’s death. 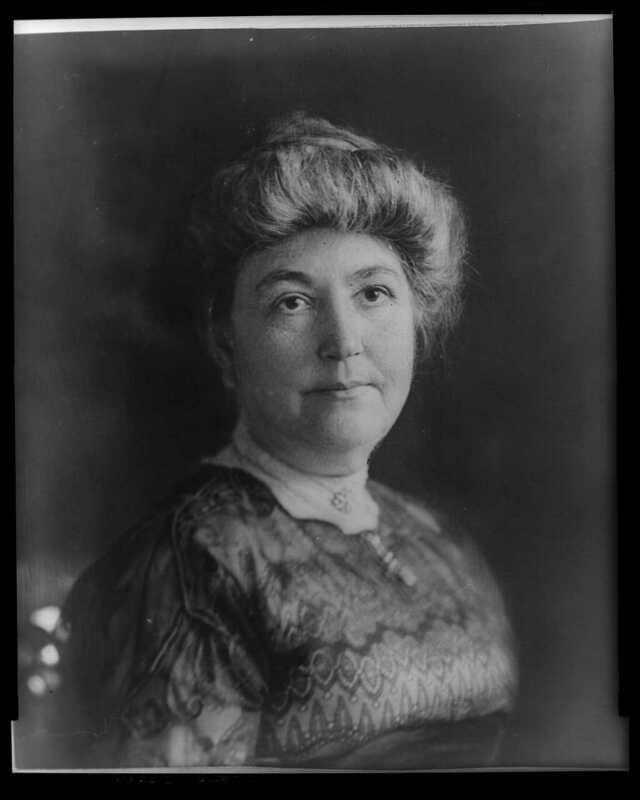 This woman, Edith Bolling Galt, was a widow who was prominent in Washington society. Wilson was quickly smitten with her. They would marry on December 18, 1915. Edith would become one of Woodrow Wilson’s most trusted advisers. Her role would be even more important in the final years of the Wilson administration. But, that would be getting ahead of the story. One glaring gap in Wilson’s resume was foreign policy experience. Wilson knew little about the ways of diplomacy. His choice for Secretary of State, William Jennings Bryan, was a political appointment to keep Bryan’s wing of the Democratic Party happy. Wilson soon faced a foreign policy crisis in his own neighborhood. Mexico was in a state of upheaval after longtime president Porfiro Diaz was overthrown in 1911. By 1913, Victoranio Huerta had managed to get himself installed as president. However, Huerta refused to call for democratic elections. Wilson sent a series of emissaries to convince Huerta otherwise, but eventually gave up. Wilson sent in Army troops instead. General John Pershing led a force that landed at Veracruz that ended up leading to Huerta’s resignation. Wilson even tried forming alliances with Mexican Revolutionary figures such as Pancho Villa and Emiliano Zapata. The former ended up splitting with the Carranza government (that was backed by the U.S.). Villa and his men would cause more headaches for Wilson. Although World War I began in August of 1914, Wilson didn’t think the United States would have much of a role in it at first, and that it would end quickly. This was either naive, or extremely wishful thinking on Wilson’s part. As the two sides settled in to a long and bloody conflict, it was clear that the winner would be the side that either ran out of soldiers or money first. The United States had plenty of both at the time. Both sides needed U.S. goods to help them through the war. Since it was easier for the U.S. to ship goods to Britain rather than to Germany, the Allied Forces ended up getting the lion’s share of U.S. exports. Germany tried to get more money by asking the Wall Street firm of J.P. Morgan to help sell its war bonds; but, Wilson blocked that action. Germany now felt that it had to stop the flow of U.S. goods into Great Britain by declaring the area around the island as a war zone. Any merchant ship suspected of carrying war materiel to Britain was subject to being sunk by German submarines. This action by Germany represented a change in the way war had been conducted. People on ships that were sunk by submarines had little or no hope of rescue. The threat of a sudden attack made Atlantic crossings terrifying. Hundreds of American lives were lost this way. Wilson’s first response was to issue a series of diplomatic notes to Germany, threatening all sorts of economic sanctions if it continued. Wilson did not wish to commit the U.S. to war as his reelection campaign was coming up in 1916. Hughes and the Republicans ran an especially poor campaign, rife with internal struggles over ideology. Wilson refused to attack Hughes during the campaign, remarking “One should not murder a man bent on committing suicide.” Nevertheless, Wilson won by a narrow margin in the popular vote (52-47) and by 23 in the Electoral vote (277-254). If Hughes had been able to carry California, which he lost by about 3,000 votes, he would have won. The British mounted an effective propaganda campaign against Germany in an attempt to rally American public opinion in favor of joining the war. British agents intercepted a message from German ambassador to the U.S., Arthur Zimmermann, that indicated that Germany hoped to get Mexico to join the war on the German side with the hope of reclaiming much of the American Southwest for Mexico. Also, the Germans stepped up their submarine warfare, sinking several more American ships. By April of 1917, Wilson had come to the conclusion that the U.S. had to enter the war on the Allied side. Wilson asked Congress for a declaration of war on April 2, 1917. It was approved four days later. It took several months for the Americans to be able to send any troops to Europe. The Army was relatively small, with most of the fulltime soldiers occupied with matters in Mexico. Wilson asked Congress to allow conscription to swell the ranks. This was the first time conscription had been used since the Civil War. There were many protests against conscription. Wilson and the Justice Department did not hesitate to prosecute anyone opposing the war effort. The nascent Communist Party was a favorite target of the Federal government. Wilson also sent some troops to Russia in 1917 in an attempt to reverse the course of the Russian Revolution. That was … not successful. Wilson was confident that the Allies (officially, Wilson said that the U.S. was not part of the Allies. He preferred the term “associate”) would win the war. And, before the bulk of the American forces arrived, Wilson issued his famous “Fourteen Points.” The two most important points were that secret treaties should be prohibited and that a permanent multinational peacekeeping organization (call it a “League of Nations”) should be established to maintain the peace. Wilson was correct in thinking that the war would be over. American troops proved to be fresh enough to be allow the Allies to break the German lines. The war ended on November 11, 1918. Now all that was left to do was negotiate a peace treaty. What could possibly go wrong with that? The Palace of Versailles would be the site of the peace negotiations. Wilson decided to travel there himself, an unprecedented move for an American president. Normally, such matters were reserved for Secretaries of State or specially appointed ministers. But, Wilson wasn’t going to allow such important business to be handled by his underlings. Wilson was received by huge throngs in Europe. He was, at the time, the most popular man on the planet. But, Wilson could not translate his popularity into negotiating skill. He was not open to compromise. But, Clemenceau and British Prime Minister David Lloyd George weren’t open to compromise either. Wilson wanted relatively generous conditions for peace with Germany. The French and British wanted Germany to pay. And pay. And pay some more. And to give up territory. And then pay some more. Eventually, Wilson would get his League of Nations, with a promise of collective security for all members, but he gave in on reparations. Wilson sailed back home to the U.S. expecting the treaty to be warmly received. Wilson presented his treaty to the Senate, expecting quick ratification. That was not to be. Senate Republicans, led by Massachusetts senator Henry Cabot Lodge, knew they had enough votes to block the treaty. The League of Nations horrified many Americans, who had no desire to see the country get involved in world disputes to which it was not a party. Lodge delayed the vote on the treaty through the spring of 1919. (He started off by reading the entire treaty aloud into the record. That took two weeks.) Public opinion began to grow against the treaty. So, Wilson decided to take his plea to the people and embarked on a whistlestop campaign throughout the country. Republican senators, known as the “Irreconcilables,” dogged Wilson giving speeches counter to his position. During the strenouous tour, Wilson took ill. Plagued much of his life by high blood pressure, Wilson suffered a massive stroke. He had to cancel the rest of the tour. Wilson had had several small strokes during his lifetime which had resulted in temporary paralysis of one of his hands. When he was in France for the treaty negotiations, on one day, Wilson suddenly asked an aid to help him rearrange the furniture in a particular room because he thought the green and red furniture were fighting with each other. It’s quite possible that Wilson may have been in a compromised state of health during the negotiations. Wilson was left almost totally incapicitated by his stroke. 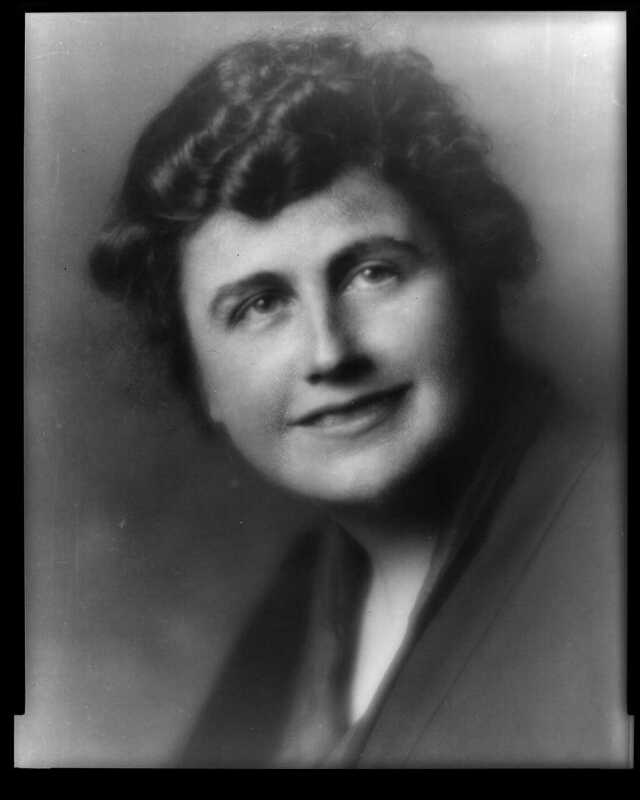 Edith Wilson, along with personal aid Joseph Tumulty and physician Cary Grayson, kept Wilson’s condition hidden from almost everyone. Vice President Thomas Marshall was kept away from Wilson. Secretary of State Robert Lansing (who had succeeded Bryan in 1915) publicly asked if the President was competent. Although no one knows for certain what was going on, there is enough evidence to think that Edith Wilson made many of the day-to-day decisions of the President. Tumulty also assisted in the decision making. Wilson was well enough to get messages to the Senate demanding that the Treaty of Versailles be approved as is, without any reservations or amendments. Wilson did not wish to see his beloved League of Nations be tossed aside. However, the treaty would never gather enough votes for ratification, not even earning a majority, let alone the necessary 2/3 vote. Wilson entertained the idea of submitting the treaty to the people as part of a national referendum, but that proved Constitutionally impossible. Wilson served out his term in isolation. He was not well enough to attend the inauguration of his successor, Warren Harding. Surprisingly, Wilson outlived Harding. Harding passed away on August 2, 1923. Wilson died in Washington, DC on February 3, 1924. Other stuff: The author of this book is a professor at Texas A&M University; but, he lives in Austin. Woodrow Wilson has a plethora of places named after him. The Woodrow Wilson Presidential Library is located in Staunton, Virginia. The Woodrow Wilson House is a museum in Washington, DC run by the National Trust for Historic Preservation. There is also the Woodrow Wilson Boyhood Home in Augusta, Georgia. The Woodrow Wilson International Center for Scholars is a think tank in Washington, DC. Lots of people run into traffic on the Woodrow Wilson Bridge connecting Maryland and Virginia just south of the District of Columbia. The Woodrow Wilson School of Public and International Policy is part of Princeton University. Wilson is buried at the National Cathedral in Washington, DC. He is the only President to be buried in Washington. Wilson was also the subject of a 1944 biopic called “Wilson.” It was nominated for 10 Academy Awards, and won 5. It was also a box office flop. The face of George Washington is well known to Americans. He stares at us on dollar bills. His profile is on the quarter. His portrait used to be a fixture in school classrooms. The capital city of the nation is named for him. And, just like all of us, George Washington was just one person. One person, full of the typical needs and wants, features and defects, highs and lows, just like anyone else. He was the first true hero of the United States of America. But, why him? What made George Washington, Virginia plantation owner, into GEORGE WASHINGTON, American icon? Historians James MacGregor Burns and Susan Dunn, both of Williams College, try to cut through the mystique that often clouds our judgment of George Washington. Their book is not revisionist by any means. But, it is a way for people to get a better grasp on just who the first President of the United State truly was. Washington didn’t attend any university; but, he did receive training in surveying. He also received a commission to serve in the Virginia militia. The two jobs would end up setting Washington on his path to fame. One of Washington’s first major jobs as a surveyor was to map the parts of Virginia near the Ohio border in 1753. This put Washington into close contact with the French, who controlled that part of North America. Washington was attached to British General Edward Braddock, who led his troops into an ambush at the Battle of the Monongahela. Braddock was killed; but, Washington was able to rally the remaining troops. For his efforts, Washington was sent to accompany General John Forbes in an attempt to capture Fort Duquesne. There was no battle at Fort Duquesne, though. The French abandoned the fort in the face of the overwhelming size of the British forces. Fort Duquesne became Fort Pitt, and later Pittsburgh. Forbes ended up with a baseball stadium in Pittsburgh named after him. For all of his service, Washington hoped that the British Army would give him a commission. But, no commission would be awarded. Washington took this as a tremendous slight. Washington was keenly aware of the importance of titles and status. He realized that the British Army would never consider a colonial like him worthy of honor. Washington did receive a generous grant of property for his service, and he was able to parlay that into great personal wealth. And with this wealth, Washington did become one of the most famous and most important people in Virginia. Washington would serve in the Virginia House of Burgesses. Although not as radical as other members of that body, such as Patrick Henry, Washington did join others in calling for a boycott of imported goods from Britain. When the First Continental Congress convened in Philadelphia in 1774, Washington was part of Virginia’s delegation. Washington dressed in his military uniform for all the meetings. And when the American Revolution began the following year, the Congress decided to appoint Washington as the head of the Continental Army. Presumably, this was because he already had a uniform. Washington agreed to serve without pay, asking only to be reimbursed for expenses. During the Revolution, Washington became, in the words of Burns and Dunn, a transactional leader. Washington had to take care of forming an army, keeping it equipped and fed, making sure people all over the colonies (soon to be states) were happy. It was almost a triumph of management, more than military expertise. After eight long years, Washington and the Americans won their independence from Britain in 1783 (although hostilities had ended in 1781 after the Battle of Yorktown.) Washington addressed his officers in what was known as his Farewell Address. It would turn out that Washington’s public life was far from over. The United States, under the terms of the Articles of Confederation, was almost ungovernable. The Congress had very little authority. States tried levying tariffs on goods imported from other states. Meanwhile, in Western Massachusetts, a Revolutionary War veteran named Daniel Shays led a popular uprising against the government of Massachusetts. Shays’ wanted the state to stop property seizures by creditors against farmers. Although the violence was relatively muted, the concept behind Shays’ Rebellion stirred Washington to take action to change the American government. The action turned out to the Constitutional Convention. Washington did not directly call for it, but encouraged others to do so. And Washington also welcomed an invitation to participate in it. And Washington had little trouble in accepting the job as the president of the convention. Washington’s job at the Constitutional Convention was not to come up with new ideas. The heavy lifting, from an intellectual standpoint, was left to people such as James Madison and Alexander Hamilton. But, it was Washington’s air of authority (he wore his military uniform during much of the convention to help with this) that kept the delegates in line. After the Constitution was ratified, there was little doubt who would be the man chosen to be the first President. It had to be Washington. He won every electoral vote in 1789. Washington had one of the most difficult jobs as President because nobody knew just what the President was supposed to do. Washington had no example to go by. He had to find out how to make it all work. And he had to do it right away. During the debate over the ratification of the Constitution, many thought that Congress would end up as the most powerful branch of government. But, Washington was able to shape the office of President into a more powerful force. Burns and Dunn point out two main ways Washington accomplished this. First, Washington, thanks to the efforts of Hamilton, made the President a proactive force in making legislation. Washington did not want to sit back to wait for Congress to propose action. Most notably, Hamilton sent to Congress plans to consolidate state debts into one national debt, as well as a plan to set up a national bank. Washington fully supported these policies. The second area where Washington asserted the authority of the President was in foreign affairs. After Washington negotiated a treaty with several Indian tribes early in his Presidency, he went to the Senate to discuss the treaty with its members. But, the initial meeting was a disaster as the senators were not prepared to ask questions and Washington was asked to come back later. Washington had no desire to ever repeat that experience. Since then, all presidents have negotiated treaties and then just presented the completed document for the Senate to vote on. Washington also knew that since the President had the right to receive and appoint ministers and ambassadors, the President had the right to recognize nations. Washington relied heavily on Hamilton and Jefferson for advice and counsel. The two men were given a great deal of latitude to make decisions. But, it was Hamilton who ended up being Washington’s favorite adviser. Hamilton, who during the Constitutional Convention proposed an executive who would be elected for life, saw great promise in the United States. Hamilton felt that a strong Chief Executive was needed for this. Washington was of the same mind. The favoritism that Washington gave to Hamilton would ultimately to the rise of the two-party system in the United States. Burns and Dunn point to a 1791 article anonymously written by Madison as the beginning of factionalism in U.S. government. At this time, Hamilton’s plan for the assumption of state debts by the Federal government was before Congress. Madison opposed this because he felt it was outside the scope of Congress’ powers according to the Constitution. Also, Madison felt that the plan was unfair to many Revolutionary War veterans who had sold off their debt certificates to speculators at a fraction of their value. Hamilton’s plan had all of the certificates redeemed at full value. Although most in government knew that Madison had written the piece, Washington and Hamilton believed that Jefferson was the man behind the whole idea. Jefferson also believed that his views were being ignored by Washington. So, he resigned his position as Secretary of State in 1793. In addition to domestic differences, the American political system also split along the lines of France and England. In the aftermath of the French Revolution, the United States was left in the position of having to choose whether to honor its Revolutionary War alliance with France, or, try to remain neutral and avoid the wrath of England. Jefferson and his supporters backed France. Hamilton and his supporters sided with England. Washington opted for a policy of neutrality, knowing that the United States could not afford a war with any European power. However, the English were not going to allow American ships to trade with their French enemies. The Royal Navy began to seize American merchant ships and choke off trade. Washington opted to try diplomacy to get the English to relent in their attacks. So, Washington sent Chief Justice John Jay to London in 1794 to negotiate a treaty. Jay didn’t have much to bargain with. When he returned, the treaty didn’t have much in the way of concessions from the British. There were no provisions to relieve the pressure on American shipping; but, the British did agree to abandon their forts along the Canadian border. Jay’s Treaty (as it would be called) was sent to the Senate in 1795, where it was debated in secret. (The Senate conducted almost all of its business behind closed doors in the early years of the Republic.) The Senate voted to ratify the treaty. Washington was not sure if he would sign the treaty; but, the decision was made for him in the summer of 1795. At that time, Washington was given a letter written by his Secretary of State, Edmund Randolph, to the French minister to the United States. Randolph seemed to indicate that he felt that the treaty was favorable to England, instead of France. Also, Randolph, somewhat obliquely, solicited a bribe from the French to prevent the treaty from going into force. Washington would not tolerate such disloyalty from his Secretary of State. Randolph was fired, and the treaty was signed by Washington. Toward the end of his second term in 1796, Washington was a tired man. He complained of vision and hearing problems, and, even worse, memory lapses. He had worked nearly all of his adult life to the creation of a new nation that he was extraordinarily proud of. But, Washington knew it was time to retire from public life for good. Washington’s example of serving two terms would be followed by all presidents until Franklin Roosevelt. (The 22nd Amendment made the two terms limit a requirement instead of an example.) Washington delivered a second Farewell Address. In this address, Washington bemoaned the partisanship that had taken over American politics. He also famously warned against the United States from entering into any alliances that would force the country to become needlessly involved in European matters. This philosophy would guide American foreign policy for most of the 19th Century. Washington passed away on December 14, 1799 at the age of 67. Henry Lee, in a eulogy for Washington, described him as being “first in peace, first in war, and first in the hearts of his countrymen.” George Washington, the man, was dead. George Washington, the myth, lives on to this day. Other stuff: Normally, this section is reserved for listing places that are memorials dedicated to the President reviewed. However, I don’t have enough space or energy to list all of the homes, monuments, and memorials dedicated to George Washington. Washington’s Mount Vernon home is not a national park or monument. It is run by a private foundation called the Mount Vernon Ladies’ Foundation. The Washington Monument is not considered to be a National Monument by the United States Park Service. It is a National Memorial. Construction began on the Washington Monument in 1848; but, it was not completed until 1884. There were problems with raising money for the monument. Also, there was this thing called the Civil War…. For those not wishing to travel to Virginia or the District of Columbia, you can just visit the state of Washington. I hear it’s pretty much the same as our nation’s capital. Washington had no children with his wife Martha. However, Martha did have two children by her first husband. What can be said about a man who was President for just 16 months? What can be said about a President who never held any other political office in his life? What can be said about a man who likely never voted in his life until he was elected President? What can be said about a man who almost went directly from battlefield success to the White House? As it turns out, not much. John S. D. Eisenhower, son of another general turned President, tries to give us a look at the life of the third man to parlay military success (after Washington and Jackson) into the Presidency. Unfortunately, Taylor’s term in office was brief, most of his papers were destroyed in the Civil War, and his greatest accomplishments occurred in a war that happened before mass communications (in the form of the telegraph) had taken hold. Eisenhower did not get the most interesting President to write about, but he tries his best. The book works best if you are interested in military history, or the particular ins and outs of battlefield strategy. But at the end of the book, Taylor remains something of a cipher. This is not to say that the life of Zachary Taylor is not worth examining. His military career spanned the two wars that the U.S. fought in after the Revolution and before the Civil War: The War of 1812 and the Mexican War. Taylor was also the father-in-law, albeit briefly, of Jefferson Davis. Taylor was born on November 24, 1784 in Orange County, Virginia, but that was only because his mother was too far along in her pregnancy to accompany her husband, Richard, to his new property (a reward for his Revolutionary War service) in Kentucky, in what would become Louisville. Although young Zachary Taylor received little formal education, he was able to read and write acceptably. In 1808, Taylor followed in his father’s footsteps and became a soldier, getting a commission as a first lieutenant. But in 1809, Taylor’s military career almost ended because of one of the most colossal errors committed by an American commander in peacetime. Taylor had been transfered to New Orleans, where James Wilkinson, a brigadier general, was in command. The oppressive heat of New Orleans was making most under his command ill. The Secretary of War ordered Wilkinson to move his troops north to Natchez, where conditions were more favorable. But, Wilkinson moved the force south to a spot called Terre Aux Bouefs. This place was even hotter and more humid than New Orleans. And there was even less food. The soldiers began to die by the score. Finally, Wilkinson (who had likely moved the soldiers south because there was money in it for him) decided to move whatever soldiers were left to Natchez. And nearly all of the remaining soldiers perished on that trip. What of Zachary Taylor? He was fortunate in that he got sick almost as soon as he arrived and he was sent back home to Louisville to recover. During the War of 1812, Taylor fought in the West. 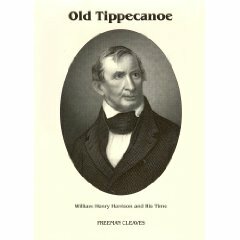 He made a name for himself when he successfully defended Fort Harrison (in present day Indiana near Terre Haute) from an assault by an allied force of Indians. Taylor was made a brevet major for his actions. However, Taylor saw little action after Fort Harrison as most of the fighting in the War of 1812 occurred near the U.S.-Canada border. Taylor asked to be transferred to that theater, but he stayed in the West. When the War of 1812 ended though, the Army was reduced in size and Taylor was demoted back down to captain. Taylor took this as a sign to leave the Army, and he did. He went back to Louisville to work on his plantation, which proved to be a very lucrative endeavor for him. But, the Army would keep calling Taylor back. Taylor always answered the call, serving in various frontier posts. In 1820, Taylor moved his family with him to Louisiana. Tragically, he saw two of his young children die of malaria there in a span of four months. By 1832, Taylor had worked his way up in the military to the rank of lieutenant colonel. At this time, the U.S. engaged in a rather pointless and bloody affair called the Black Hawk War. Black Hawk was the name of a Sauk Indian chief who tried to halt the gradual takeover of his people’s land in Illinois by white Americans. Both Jefferson Davis and Abraham Lincoln would fight in this war, which was really more of a chase by the Army to catch Black Hawk. After a few months, Black Hawk was captured and all but 50 of his men were killed, either by the Army or by the Sioux. Davis, a lieutenant serving under Taylor, had grown fond of his commander’s daughter Sarah. However, Taylor refused to let his daughter marry an Army officer. The two ended up courting in secret, and eventually wed in 1835, by which time Davis had resigned his commission. However, Sarah Taylor died soon after her marriage of malaria. While fighting against Seminoles in Florida, Taylor earned his nickname of “Old Rough and Ready” because he would always be out on the battlefield with his troops. Taylor drove his troops hard, but no harder than he would drive himself. Because of his actions in Florida, Taylor had become Brigadier General Zachary Taylor. Taylor would later find himself commanding troops at Fort Jesup near what is the border today between Louisiana and Texas. In 1845, Taylor was ordered by President James Polk to move his troops to a point south of the Nueces River in what was then the village of Corpus Christi, Texas. At first, Polk attempted to negotiate a settlement with Mexico, but the Mexicans would not sell the U.S. the disputed territory. So, Taylor’s troops marched further south to the Rio Grande, right across from the Mexican town of Matamoros. On April 26, 1846, Mexican soldiers fired at and killed some of Taylor’s men. The news was sent back to Washington. And by May 13, Congress had declared war on Mexico. Taylor spent much of the war along the U.S.-Mexico border. After capturing Monterrey, Taylor hoped that the U.S. government would just follow a strategy of waiting around for Mexico to surrender. But Mexico wouldn’t surrender. Eventually, Polk, on the advice of Missouri Senator Thomas Hart Benton, ordered General Winfield Scott (who was already a declared candidate for President in 1848) to lead an amphibious assault on the port of Veracruz, with the eventual takeover of Mexico City. However, such an invasion required Taylor to give up some of his best soldiers to Scott. While the attack on Veracruz was successful for the U.S., Mexican president Santa Anna decided that his last best hope was to attack what was left of Taylor’s forces, which were now in a place called Buena Vista. The Battle of Buena Vista (fought in February of 1847 near the city of Saltillo, Mexico), saw over 670 American officers killed and an estimated 1,500 volunteer soldiers desert. But, the Americans won as the Mexican Army was spent after a long march through the Mexican Desert. The war was essentially over. The U.S. added most of present day Arizona, New Mexico, Utah, Nevada, and California. Taylor ended up being the hero of the war for the Americans. His plain dress (he rarely wore a full uniform) and easy manner endeared him to his men. Although the Mexican War proved to be unpopular as it was being fought, the American people still wanted a hero. In 1848, there would be an election. Polk had promised to serve only one term, so the race was wide open. It’s not clear when Taylor became interested in running for President. He had made few political statements during his military career. Taylor wanted to be drafted to become President. He didn’t want to have to run for office. It’s also quite possible that he had no idea how to run for office. No one knew which party Taylor belonged to. The Whig Party, seeing a chance to win the White House, sent a delegation to Louisiana to get Taylor to declare himself a Whig. After that, Taylor was able to win the nomination in June of 1848. At the time, parties sent letters to the nominees informing them of the selection. Taylor did not respond for an entire month. However, Taylor was not hesitant to run. Instead, the local postmaster had refused to deliver the letter to Taylor because it had insufficient postage and Taylor had left instructions that he would not pay postage due. Eventually, a second letter was sent and Taylor began his race for the White House. Millard Fillmore, the state comptroller for New York, was given the Vice Presidential nomination. The Democrats would nominate another soldier, Lewis Cass. Cass however had also served in the government both as a Cabinet member and a Senator. Taylor did not campaign much. He hoped that his personal popularity and a general dissatisfaction with the Democrats (who had been in power almost since Jefferson’s election) would carry the day. Taylor was right. He won 47.3% of the popular vote, besting Cass and third party candidate Martin Van Buren. The Electoral Vote tally was 163-127. General Taylor was now President Taylor. En route to Washington, he was on a steamship that carried Whig Party leader (and political rival) Henry Clay. When Taylor came up to Clay to pay his respects, the Kentucky senator brushed him off, not knowing who he was. Clay tried to apologize, but Taylor just moved on. Taylor immediately faced the problem that the new territories would be a political landmine because of the issue of slavery. Southern Slave interests demanded that any free state be admitted with a slave state to preserve a balance in the Senate. But Taylor’s party, the Whigs (at least the Northerners), were backing something called the Wilmot Proviso, which would have banned slavery in any of the new territories. Soon after Taylor took office, California (it’s the big state on the left) was telling Washington that it was ready for statehood. California, despite having numerous Southerners work on its first Constitution, was going to prohibit slavery. So, there was a demand to find another state suitable to add as a slave state. However, nearly all of the territory taken from Mexico was unsuitable for slavery. New Mexico and Arizona and Utah were not well suited for Southern-style plantations. Congress was ready to come up with a carefully crafted compromise that would take care of the situation. California would be admitted as a free state, a more stringent Fugitive Slave Law would be adopted, other territories would vote on whether or not to be free or slave states, and the public slave trade in the District of Columbia would be stopped. Clay wished to put all these measures into one big bill, called the Omnibus Act. It had little chance of passing as there were too many controversial ideas in one piece of legislation. Also, Taylor had indicated he would veto the bill. The paradox of Taylor was, despite owning slaves and profiting greatly from their labor, that he had no desire to spread slavery into any new territory in the United States. Why this is so is unclear, according to Eisenhower. The Omnibus Act was debated through the spring of 1850, but no final vote was taken in Congress before it adjourned for the summer. Taylor stayed in Washington for the Independence Day celebrations. During the numerous functions Taylor attended, he gulped down fresh fruits and cold milk. This turned out to give the President a bad case of gastroenteritis. And then there were complications from the heat in Washington. Taylor caught a fever and died on July 9, 1850. Fillmore became President. In the fall, the Omnibus Act was separated into smaller bills and was passed and became known as the Compromise of 1850. Some historians believe that the Compromise of 1850 paved the way for the Civil War. Others believe it served to delay the inevitable war between the free and slave states. Another group of historians believe that if Taylor had vetoed the Compromise of 1850, he could have used his personal popularity as a war hero, and a Southerner, to work out some amicable solution that would have prevented the Civil War. The last theory is hard for me (and Eisenhower) to believe. Zachary Taylor may have been popular, but his popularity was no match for the enmity brewing in the United States over slavery. Taylor had not shown any ability to work with the political leaders of his own party to accomplish much of anything. It almost seemed that Taylor just sort of stumbled his way into the White House because it seemed like the thing to do. Much of his own papers were destroyed during the Civil War. Taylor was the stereotypical old soldier who did just fade away. Other stuff: If you are looking for Zachary Taylor memorials in the U.S., you don’t have a big selection. Zachary Taylor National Cemetery, which is part of the US Veterans Affairs, is the site of Taylor’s grave. Taylor’s wife, Margaret, is buried there as well. The cemetery is closed to further interments. It is located in Louisville. The only major international agreement signed during Taylor’s Administration was the Clayton-Bulwer Treaty (Taylor signed it three days before he died.) The treaty prohibited the U.S. or Great Britain from building a canal through Central America unilaterally. Theodore Roosevelt had to work around that. It wasn’t that hard. But, there is also the Thomas Jefferson who owned slaves. The Thomas Jefferson who quite likely fathered a child or children from one of his slaves, and still kept them as slaves. There is the Thomas Jefferson who believed in liberty for all, as long as you were a white male. There is the Thomas Jefferson who believed in the sanctity of the Constitution, unless it got in the way of something he really wanted to do. There is the Thomas Jefferson who was not afraid to get revenge on his political enemies. Thomas Jefferson was a definitely a man of his time. But is he a man for our time? Appleby tries to make the case for Jefferson. Her task is difficult because her book concentrates almost exclusively on the eight years Jefferson served as President, which were not his best years. However, this is a presidential biography series, so it’s those eight years we have to look at. Jefferson had been one of the major political figures in the U.S. since 1776 because of his authorship of the Declaration of Independence. Later, Jefferson served as governor of Virginia, although he was accused of cowardice after fleeing into the Virginia hills in the face of oncoming British troops. In 1782, Jefferson’s wife, Martha, passed away, likely of complications from the numerous pregnancies (seven) she went through in their 10 years of marriage. Martha gave her husband two daughters before she passed away. Thomas Jefferson would destroy all his correspondence with his wife, which is about all the writings of his that he didn’t save. Jefferson’s complete papers still have not been completely published and may not be for another 40-50 years. After the Revolutionary War ended, Jefferson served for a time in the Continental Congress, where he helped to draft the Northwest Ordinance, one of the few accomplishments of the pre-Constitution version of Congress. In 1784, Jefferson was sent to Paris as a U.S. representative, serving alongside John Adams for a period. While Jefferson was in Europe, the United States adopted the Constitution. While Jefferson was returning home in 1789, George Washington appointed him to be the first Secretary of State. The party structure first showed up in the election of 1796, which John Adams won by just three electoral votes over Jefferson. Under the terms of the Constitution at the time, Jefferson became Vice President as the second place finisher. The political climate grew even more rancorous during the Adams administration. Tensions from the French Revolution spilled over to the United States. Jefferson and his supporters backed France, while Adams and the Federalists feared the radical ideas of the French government. By 1800, the political tide of the country had shifted just enough to give Jefferson the presidency. Jefferson and Aaron Burr tied for the most electoral votes with 73 and Adams finished in third place with 68. With a tie in the Electoral College, the House of Representatives had to choose between Jefferson and Burr. However, the House was still controlled by Federalists. And they were in no hurry to choose a President. It took five days and 35 ballots before the deadlock was broken. Hamilton ended up being the kingmaker. While Hamilton despised Jefferson, he despised Burr twice as much. Jefferson was upset that Burr, whom he had considered an ally, did not concede the Presidency to him. For the rest of his political career, Burr was shut out by Jefferson. Burr would eventually end up killing Hamilton in a duel. Although, he avoided prosecution for that crime. Also, Burr would be tried for treason in 1807 for trying to foment a separatist rebellion in the West. However, Burr was acquitted. In his Inaugural Address in 1801, Jefferson struck a conciliatory tone by stating, “We are all Republicans. We are all Federalists.” The spirit of bipartisan cooperation lasted about as long as the speech. As soon as he got to work, Jefferson appointed a new Cabinet, and also began to replace Federalists who held various government jobs through the country. Jefferson also had one Federalist judge impeached, and then took aim on a Supreme Court Justice, Samuel Chase, for another impeachment. While the first judge was often drunk and possibly insane, Chase had committed no crime bigger than being obnoxious. Chase’s impeachment trial ended with the Republicans failing to get the necessary 2/3 majority to remove Chase from the bench. The Supreme Court, under the leadership of John Marshall, would remain as the last Federalist bastion in American government. Believing with you that religion is a matter which lies solely between Man & his God, that he owes account to none other for his faith or his worship, that the legitimate powers of government reach actions only, & not opinions, I contemplate with sovereign reverence that act of the whole American people which declared that their legislature should “make no law respecting an establishment of religion, or prohibiting the free exercise thereof,” thus building a wall of separation between Church & State. Adhering to this expression of the supreme will of the nation in behalf of the rights of conscience, I shall see with sincere satisfaction the progress of those sentiments which tend to restore to man all his natural rights, convinced he has no natural right in opposition to his social duties. It seemed that for Thomas Jefferson, his political philosophy had caught on. His approval ratings, if such a thing had existed in 1804 when he was up for reelection, were through the roof. But, the good times would not last. In 1802, Scottish immigrant James Callender, who had run afoul of the government under the Alien and Sedition Acts of the Adams Administration, printed a story that Jefferson had fathered a child with one of his slaves. While the story may have seemed to have been nothing more than a scurrilous acussation, it was also not entirely dismissed. And Jefferson did not deny the allegation. Nor did he confirm it. Callender was not the first person to notice that Jefferson and one of his slaves, Sally Hemings, seemed to have close relationship. Abigail Adams had noted a closeness between Hemings and Jefferson back in 1787 in Paris. Appleby gives a balanced presentation of the evidence that would link Hemings to Jefferson. First, Jefferson did not list the names of the fathers of any of Hemings’ children in his ledger, which was unusual for a fastidious recordkeeper like Jefferson. Second, DNA evidence from 1998 confirmed that there was some male from the Jefferson family who fathered a child with Hemings. However, because Jefferson had no sons (only two daughters, one of whom passed away in 1804), there is not enough evidence to positively assert whose DNA it is in the Hemings gene pool. There is no “smoking gun” that conclusively links Jefferson and Hemings, but Appleby leans to the side of Jefferson being the father of at least some of Hemings’ children. Appleby notes that Jefferson petitioned the Virginia Legislature to allow the Hemings family (who were received their manumission after Jefferson’s death) to remain in the state. Virginia law at the time, which Jefferson supported, did not allow free blacks to live in the state for more than one year. The Federalists would try to use the Hemings story as a campaign issue in 1804, but it didn’t have much effect. The Federalists had few good candidates available, especially since Burr had murdered the party’s leader, Hamilton. Jefferson won all but two states, besting Charles Pinckney by a 162-14 margin in the Electoral College. The Vice President was elected separately and George Clinton took over that task. Jefferson’s second term was marred by international problems. In particular, the Napoleonic Wars slopped over on to the shores of the U.S. British ships preyed on American merchant ships looking for deserters from the Royal Navy. France wouldn’t allow American ships to trade with Britain. Britain wouldn’t let American ships trade with France. What was Jefferson’s solution to this? An embargo. Jefferson, hampered by a greatly reduced navy and a reluctance to take on either Britain or France, ordered a complete cessation of overseas trade. Jefferson hoped that Britain and France would feel the pain of not receiving American goods. However, the result was that the British and French continued what they were doing. Furthermore, American port cities lost millions of dollars in revenues. Enforcement of the ban was a nightmare and was about as successful as Prohibition would be over 100 years later. Jefferson could have run for a third term in 1808, but opted not to, following the example set by Washington. He seemed quite burnt out by the job. After James Madison was elected in December of 1808, Jefferson did almost no government work. He spent the time boxing up materials to send home to Monticello. The Federal Government was essentially paralyzed. In his retirement, Jefferson spent his time with various tasks. He founded the University of Virginia, primarily to establish a college for Virginians that would not be dominated by the Presbyterian Church. He also spent much of his time writing letters to his old adversary, Adams. And, he spent time trying to avoid creditors, as he lost much of his money in the Panic of 1819. Jefferson, who was a profligate spender, understood government finance much better than his own finances. One major problem remains though in evaluating Jefferson: slavery. How could a man who wrote such eloquent words about “life, liberty, and the pursuit of happiness” spend his life owning slaves. And not just owning slaves, but most likely using them for his own sexual gratification. And buying and selling them like they were livestock. Jefferson had his view of the world. And it was a view born out of growing up in comfortable surroundings in Piedmont Virginia, where his wealth derived from slaves. Jefferson could not escape his heritage. His racial attitudes were instilled in him from birth. But why didn’t he change as he got older? American history is filled with people who changed their attitudes about slavery or racial equality through time. But, Jefferson is not one of those men. It is an unescapable fact. Also, did Jefferson, a firm believer in states rights, lay the foundation for the secessionist movement in the South? That too seems to be true. Is Jefferson still an admirable figure? In Appleby’s view, the answer is yes. Jefferson was responsible for carrying out the first peaceful change in power in world history in 1801, when his Republicans took over control of the government. Jefferson and his followers would hold on to the Presidency for all but eight years from 1801 through 1861. Jefferson believed in a government where the common people ruled, not the aristocracy. However, Jefferson’s common people were just white males. He hadn’t been able to make the mental leap to include all parts of society. Was it that Jefferson was not ready, or was America not ready? There lies the dilemma in evaluating the life of Thomas Jefferson. Appleby concludes that Jefferson’s greatest contribution to American history is his belief that an aristocracy was not preordained. Jefferson believed that the people could make themselves better. If you look at Jefferson’s presidency from what the country was like when he assumed office in 1801, the changes were dramatic. But over 200 years have passed, and the country has changed even more dramatically, and, perhaps, Thomas Jefferson is not all what he thought he may have been. But for his time, he was a giant, both physically and metaphorically. Other stuff: Thomas Jefferson’s home, Monticello, is run by the Thomas Jefferson Foundation and is located in Charlottesville, Virginia. The National Park Service operates two facilities dedicated to Jefferson. One is the Thomas Jefferson National Memorial in Washington. The other is the Jefferson National Expansion Memorial, which is underneath the Gateway Arch in St. Louis. 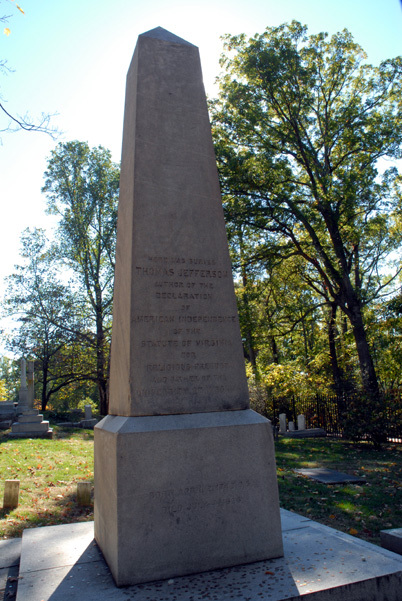 Jefferson is buried at Monticello, with a small obelisk on his grave. Jefferson’s portrait has been on the rarely-used $2 bill since 1929. Jefferson has appeared on the nickel since 1938 and, in 2006, his portrait was changed so he faced forward instead of in profile. For those not scoring at home, this is biography #13. James Madison was definitely a president with an impressive resume. For starters, Madison wrote much of the Constitution and the Bill of Rights. He was a passionate defender of religious freedom. He served in the House of Representatives. He was Secretary of State for eight years under Thomas Jefferson. But his eight years spent as President are almost entirely remembered for the War of 1812 (which only lasted a little over two years), an event that had two effects: 1) it made Madison appear to act in a way that was very much the opposite of what he believed in for most of his life and 2) created dread in the minds of American schoolchildren who feared that their history teacher would make them write about the War of 1812 on a test and they’d have to figure out just what the whole war was about. Garry Wills, who has profiled historical figures such as Abraham Lincoln and Saint Augustine, tries to make sense of the presidency of one of the Founding Fathers who seemingly succeeded at everything in life, except being president. But Wills makes the case that Madison’s eight years as president were not as bad as some historians made them out to be. Wills doesn’t believe that Madison was the greatest president, but he defends Madison for not giving up his most cherished principles, embodied in the Bill of Rights, in a time of war. Madison’s biggest problem in Wills’ eyes was that he made poor choices for his Cabinet and tried to fight a war without much of a standing army. Madison’s contributions to the Constitution and the Bill of Rights are easily his greatest achievements. And it would have been hard for Madison to accomplish anything greater during his term as a president, especially in light of the world he was entering. And just what was that world? Where were we? Oh yes, the Napoleonic wars and the U.S. getting caught up in them. Madison hoped that economic pressure would force either the British or French to give in and allow the U.S. neutral trading rights, but that was not to be. And by 1812, Madison, tiring of British attacks on U.S. merchant ships by press gangs trying to get back sailors who had left the British Navy, asked Congress to declare war on Britain. The U.S. had an equal beef with France, but the French had slightly better P.R. among Americans. Madison, who always thought economic sanctions could fix any problem, had aligned himself with the “War Hawks” in Congress, led by Speaker Henry Clay. With a war started over maritime matters, the American response, logically, was to attack Canada. Why? Well, why not? It’s Canada. How hard could it be? It turned out to be rather difficult. It was especially difficult because Madison entrusted the command of the troops to Revolutionary War heroes (who were old and mostly incomptetent), political appointees (who were mostly incompetent, but not necessarily old), or people who were crooks (such as General Robert Wilkinson who had taken bribes from Spain and thought about overthrowing the government in a plot with Aaron Burr and once decided to quarter most of his soldiers near a swamp in New Orleans in the summertime and half of them got malaria and died.). The U.S. takeover of Canada never happened, although U.S. troops did burn the city of York (now Toronto) to the ground. This served only to make the British angry and they responded in kind by burning down large parts of Washington, such as the White House. The U.S. Navy had a few big victories, but the biggest one served to give them control of Lake Erie, which seemed like a lot of effort to just keep the future site of Cleveland safe. And the U.S. had enough victories on the battlefield to keep the British at bay. The biggest U.S. victory came in New Orleans in 1815, a few days after a peace treaty was signed in Ghent, Belgium. The battle went something like this. Wills mentions how the U.S. had little intelligence of British troop movements during the war. The primary source of information came from reading newspapers. The Secretary of State, James Monroe, decided to do some scouting on his own since few people in the Army were willing to do so. Monroe was also told to go take command of the troops in the Northwest that had failed to take over Canada, although Monroe did not take official command. Many of these problems that Madison encountered were Jefferson’s fault, in the eyes of Wills. Jefferson shunned a large navy, preferring a system of small gunboats, which proved to be almost, but not quite entirely, useless in defending the coastline. And Jefferson feared a standing army. However, a standing army can come in handy when you’re going to war against a very, very, very, very big and rich country. Wills’ history of Madison’s presidency accomplishes something that took this history major his whole life to figure out: just what was the War of 1812 fought for. And now I can drop in references to Macon’s Bill Number Two and force people to use Google to see if I am making sense. For those interested in the full James Madison experience, you should visit his home, Montpelier, which is in Orange, Virginia. Or perhaps you can just take a look at the Bill of Rights. Madison would probably appreciate that more. Miscellany: Madison’s first vice president, George Clinton, also ran against him as president and received six electoral votes for president. Clinton was Jefferson’s second vice president. Clinton was one of Madison’s chief political rivals. Clinton died before his term was up. For his second term, Madison chose Elbridge Gerry as his Vice President. While Gerry agreed with Madison, he died in office too. Being James Madison’s Vice President was sort of like being a drummer for Spinal Tap. Housekeeping note: You can reach this site now also by using the URL http://allthepresidentsbooks.com. Also I’ve gone through my backlog of books I’ve read, so give me a few days to get to a new one. Furthermore, I’m going to use the tag “Democrats” for presidents who would have been described as “Republican” or “Democratic-Republican” at the time because it’s simpler. And if you don’t know what I’m getting at, you’re probably not interested in reading this blog to begin with. My chaotic journey through the history of the U.S. Presidency begins with a book about the first vice-president to succeed a president who passed away while in office. Gary May, a professor at the University of Delaware, penned this surprisingly sympathetic look at one of America’s lesser presidents. 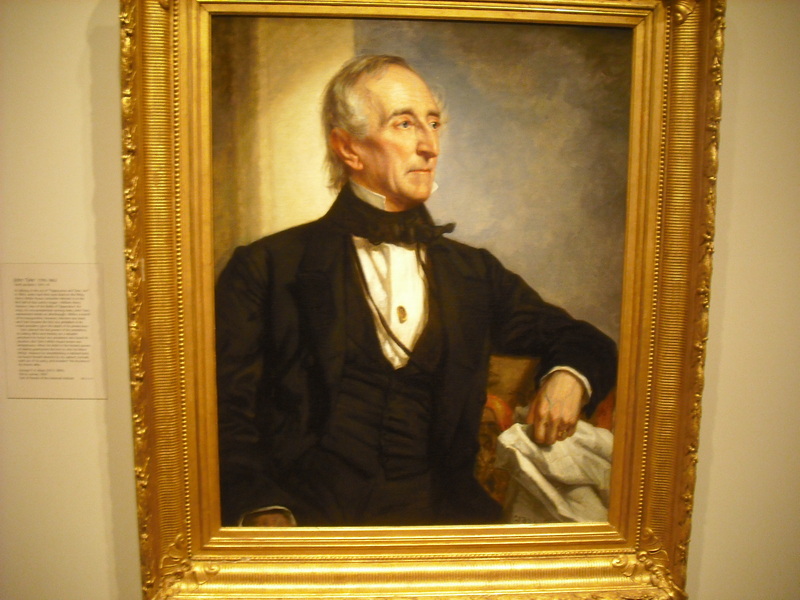 John Tyler was tacked on to the Whig Party’s ticket in 1840 because he had a recognizable name and could help the party out in Virginia, which was still a big player in national politics at the time, as it had 23 electoral votes. The two problems with this were: 1) Tyler had until very recently before the election been a Democrat and had only switched over to the Whigs more or less out of spite and 2) the Whigs, with William Henry (“I died in 30 days”) Harrison leading the way, won the election by a large margin (234-60) and still lost Viriginia. Harrison, who was 68 when elected and not in the best of health to begin with, died a month into office. So it was time for Tyler to take over. Tyler hadn’t even been living in Washington since the inauguration as he really had nothing to do. But he comes back, tells everyone he’s the boss, vetoes Henry Clay’s favorite legislation, the chartering of a national bank, and almost his entire Cabinet resigns on the spot. But Tyler eventually remarried while in office and ended up fathering 14 15!! children in all. And he still has grandchildren (or least a grandchild) alive. Think of when your grandfathers were born. John Tyler was born in 1790! Tyler’s biggest accomplishment was the annexation of Texas. Tyler had made it his quest to get at least that done before he left office. Thanks to the lobbying of his second wife, Julia, who by all reports was one of the best looking women in Washington, but she was also not afraid to throw herself into the political arena to help her husband. Since both parties didn’t like Tyler, he didn’t run for reelection. James Polk, the Democratic candidate in 1844 and the eventual victor, campaigned on adding Texas to the United States. But Tyler managed to get Texas added to the U.S. on his watch when he signed a Congressional resolution the day before he left office annexing Texas. Perhaps Tyler knew that there was a city there named after him. When Tyler passed away in 1862, he was about to start serving in the Confederate Congress. So his passing was not exactly mourned throughout the land. However, Tyler should be remembered mostly for setting the precedent that when the President dies, the Vice-President becomes president. Some (read “Henry Clay”) wanted to call Tyler the “Acting President.” But Tyler called himself “President” and insisted that he had all the rights and privileges of the office. This principle didn’t become a formal part of the Constitution until 1967. May wants us to believe that Tyler, a man who financed his first trip to Washington to serve in Congress by auctioning off his most beloved household slave, is not as bad as most historians view him. He believes that Tyler worked as well as he could in such an impossible situation. It’s not easy to govern when you have no constituency. But Tyler didn’t quit. You can’t blame a President for trying I guess.